Published with permission from San Diego Coalition for Peace and Justice. The Drone Diego Coordinating Committee invites organizations and individuals to come to San Diego on April 4-7, as we protest and bring attention to the dangers drones present to the people of the world. Join us for nonviolent actions, workshops, street theater and more, or organize your own activities. Armed drones are weapons of terror. They kill combatants and civilians, children and adults, men and women, alike. Their presence overhead terrorizes entire communities. Extrajudicial assassinations by killer drones violate U. S. and international law. Surveillance drones threaten our liberties, spying on communities and borders, invading our personal privacy. Drones make our families less secure by making it easier for military and paramilitary agencies (like the CIA) to continue endless war without limits in either space or time. Why come to San Diego? San Diego is the drone production capital of the world. San Diego is home to General Atomics, builders of the killer Predator and Reaper drones (which may be armed with Hellfire missiles), and Northrup Grumman, maker of the Global Hawk surveillance drone. Surveillance drones also regularly fly along the border between San Diego and Mexico. Of course not everyone has the resources to come to San Diego. 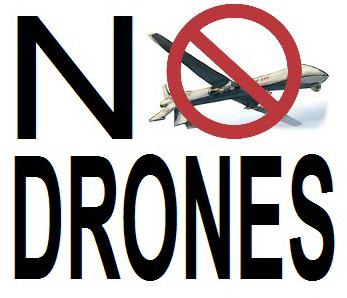 We encourage those who cannot come to make April 4-7 days of action against drones in their own communities. Kickoff day is Thursday, April 4, with a demonstration at the General Atomics drone production facility in Poway, just north of San Diego. The San Diego chapter of Veterans for Peace is holding a weekly vigil there and we will join them. We invite other organizations to develop workshops, forums and actions during the four days of action. If you or your organization would like to plan an event, please contact our host committee so we can provide information about locations, venues, and schedule coordination. We also welcome sponsoring organizations (which provide financial or organizational resources) and endorsing organizations (which express their public agreement with our goals) to contact the host committee. Our host committee will work to provide housing in San Diego for activists who need it. For details check with SDCPJ. For more info about the National Days Against Drones Actions in San Diego, or if your organization would like to become a sponsor or endorser, please contact Dave Patterson (dpatterson998@yahoo.com). We can also be found on Facebook. Tax-deductible donations to support this action can be made on the Donate page. Please specify: “anti-drone action”. Sponsoring/Endorsing organizations: Peace Resource Center of San Diego, San Diego Veterans for Peace, San Diego Coalition for Peace and Justice, CODEPINK, Global Exchange, United National Antiwar Coalition (UNAC), Canvass for a Cause, Af3irm, A Future Without War.org, Committee Opposed to Militarism and the Draft (COMD), San Diego International Socialist Organization, SAME Alliance, Fresno Light Brigade, Peace Madera, Peace Madera, Overpass Light Brigade San Diego, Alameda County Against Drones, ANSWER Coalition San Diego, Party for Socialism and Liberation San Diego, San Diego Libertarian Party, Environmentalists Against War, San Diego Boycott, Divestment and Sanctions (BDS), National Lawyers Guild San Diego, al Awda San Diego.